Simple embroidery? It’s just ducky for beginners. 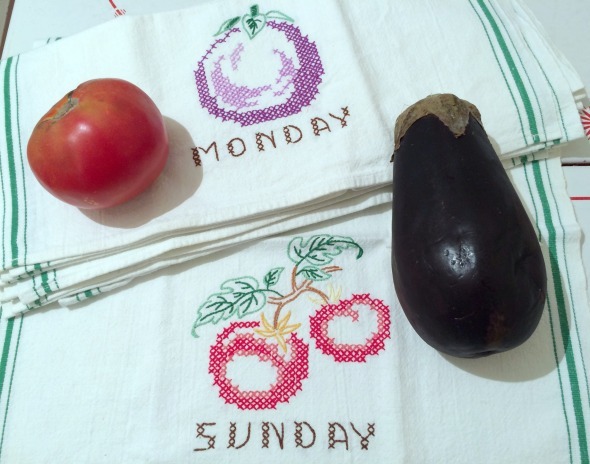 Janeray’s wonderful day-of-the-week dishtowels reminded me that I’ve got some darling vintage embroidery pieces in my stash that are bound for September’s Vintage Bazaar. I think all of them are easy enough for even a beginning stitcher to enjoy making. Like this sweet cotton towel with a little Dutch washerwoman. Isn’t her flowered skirt adorable? Yep, there’s more! Click here! I’m really thankful I have a dishwasher, but I’ll be darned if I didn’t fall hard for a full week of embroidered cotton dish towels. I couldn’t resist grabbing them up–they’d never been used. 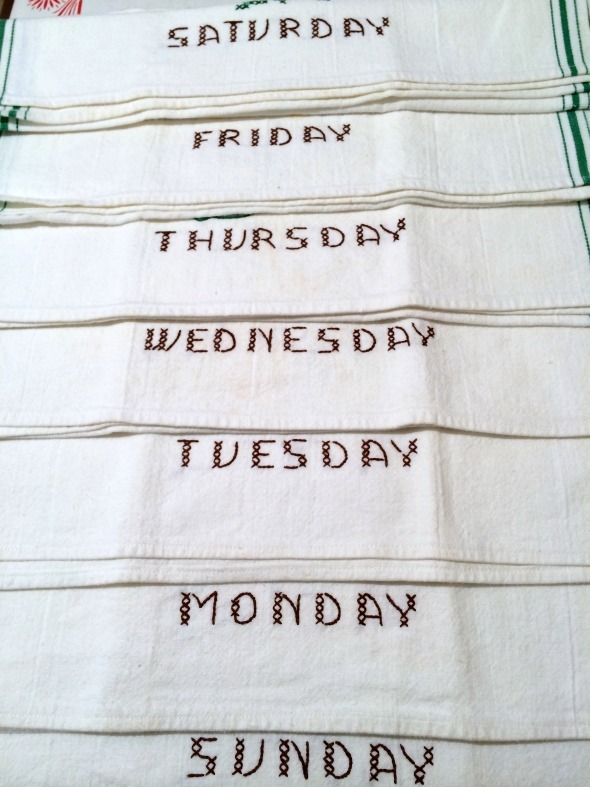 The cross stitched days of the week aren’t terribly attractive, but that’s not all they’ve got going for them. Are you looking forward to a week of drying dishes? These towels might change your mind. Each towel has a colorful daily reminder to eat your veggies. Fresh, not canned! The start of a great ratatouille!